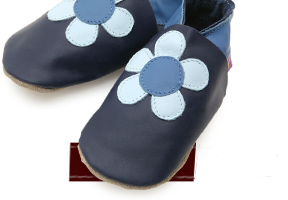 Starchild soft leather baby shoes. 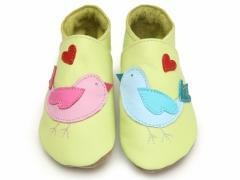 Lovebirds in pink and blue on lemon shoes. Twitter in love. Not in use yet. But I am sure they will be perfect like the previous ones (smaller size) we still use everyday at home. Thank you.